The Tokyo 2020 Olympic Mascot Was Unveiled, And We Absolutely Love It! 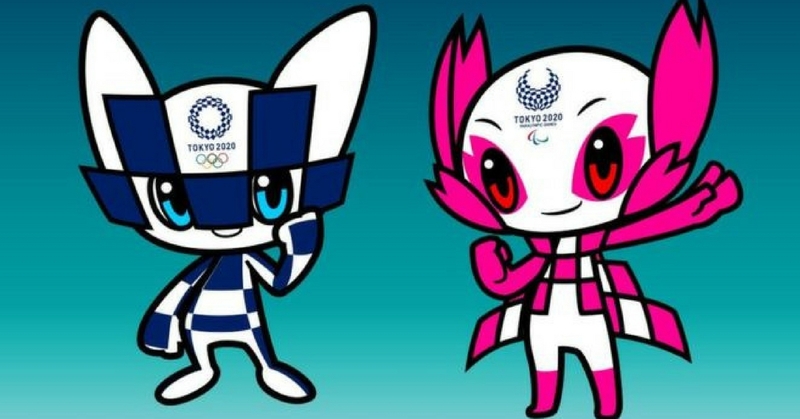 Not too long ago, Japan has unveiled Tokyo 2020 Olympic and Paralympic mascots. Based on Tokyo 2020 tweet, the Olympic Mascot is inspired by a fusion of tradition with modern innovation, the Paralympic Mascot by nature and the supernatural powers that make Japan distinct. Here’s the final shortlisted three pair of Mascot design. In August 2017, Japan had opened up entry for Mascot designs. Over 2,000 individuals had submitted their designs and hope that it would attract public’s affection. The shortlisted three pair of design were then chosen by the Mascot Selection Panel. Among these three pair of design, there was a voting election opened up to millions of students in elementary school, Japan. With a blue and white chequered pattern, it was inspired by a combination of old tradition and new innovation. It is also described as a mascot who is always up to date with latest news and information. It has a strong sense of justice and athletic. It has a special power which can move anywhere instantaneously. It has a saying that the pink and white chequered pattern is inspired by cherry blossom flowers. The personality of this mascot is calm and gets very powerful when needed. It has a dignified inner strength and a kind heart that loves nature. The special power is it can talk to stones and wind and move something by just looking at it. The winning design of Tokyo 2020 Olympic Mascot design have been announced live on 28 February on YouTube and Facebook. Do check on Tokyo 2020 Olympic YouTube channel and Facebook page to follow their updates.